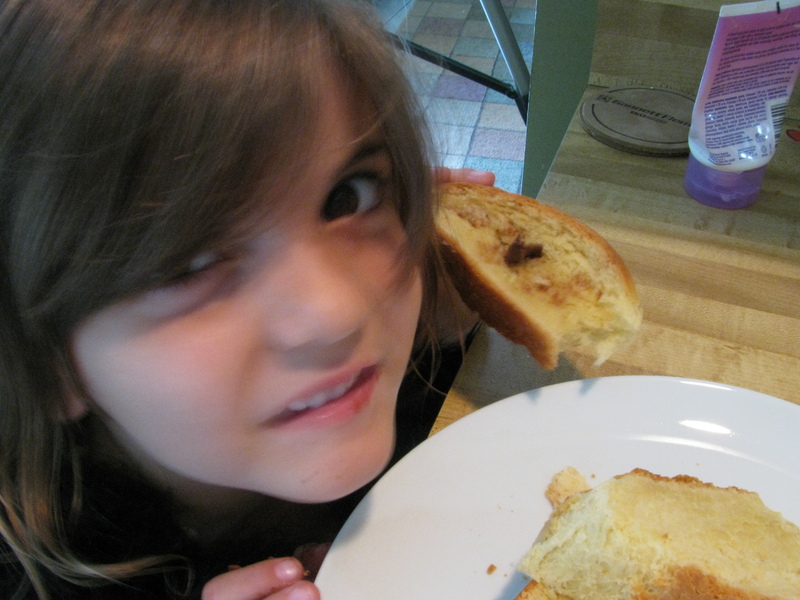 Thanks to our friend Heather, my kids want to eat Brioche all the time. Before we met her, they didn’t even know about it and we weren’t regularly stopping off at Whole Foods and dropping $6 per loaf—only to break off chunks and finish it in the car. Once, instead of stopping at Whole Foods to buy candy to sneak into the movie theater—we bought a loaf of their Brioche and ate that. That’s how much they like it. They are willing to give up dark chocolate covered raisins and fruity jelly beans for a hunk of bread. 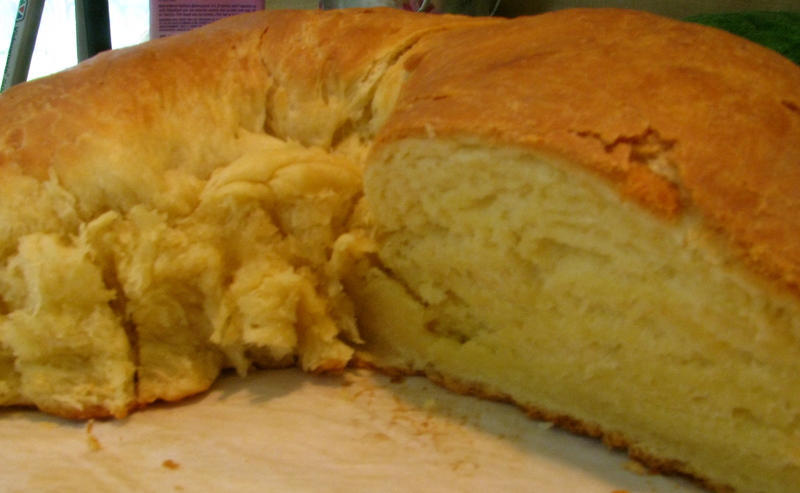 I had thought about trying to make it at home but the buttery, flaky bread didn’t seem like something I was capable of. The recipes seemed simple enough but I just knew it would be the kind of recipe that requires a secret ingredient or one special little step that no one tells you about. Secrets passed down through generations…..you know? I thought I would try it out, as an experiment, figure out what went wrong, and then modify the recipe to perfect it. That wasn’t necessary though. The folks at Baker’s Illustrated had already done that and by closely following their recipe–this bread was a success. Wanna try it? You will impress your kids, your husband and even yourself! You will save lots of money! Note: Give yourself lots of time. This recipe (from Baker’s Illustrated) works best if the dough can sit overnight in the fridge. Also, you will be spending a lot of time mixing the butter in….more than you think. This is not something you can throw together while the kids watch Phineas and Ferb—you will need some time. 1) Gather your ingredients. You will need: 3 1/4- 3 3/4 cups of flour, 1 T yeast, 4 T sugar (I added one more T than Baker’s Illustrated suggested), 1 tsp salt, 3 large eggs (plus one for the egg wash), 1/2 cup ice cold water, 16 T butter. 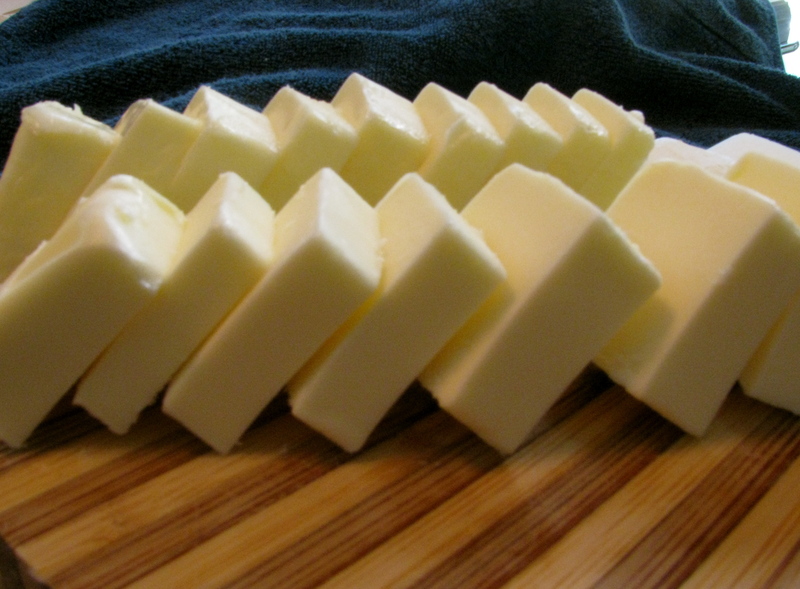 The butter should be softened but not warm and cut into 16 pieces. 2) Put your stand-mixer bowl into the freezer for 15 minutes. You want it nice and cold so that the butter doesn’t get too warm during mixing. Warm butter=bad bricohe. 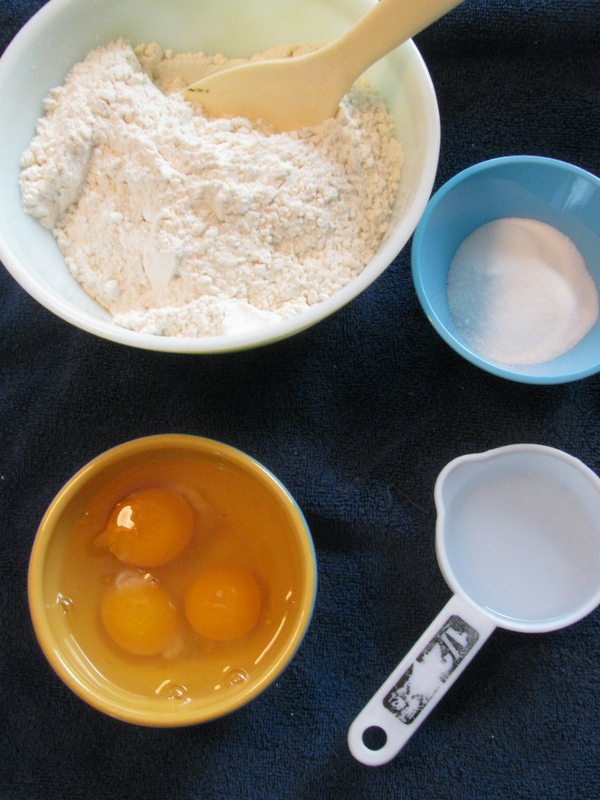 3) While your bowl is getting cold, mix together 3 1/4 cup of flour with the yeast and set aside. 4) In the cold bowl, whisk together the eggs, sugar, and ice water. 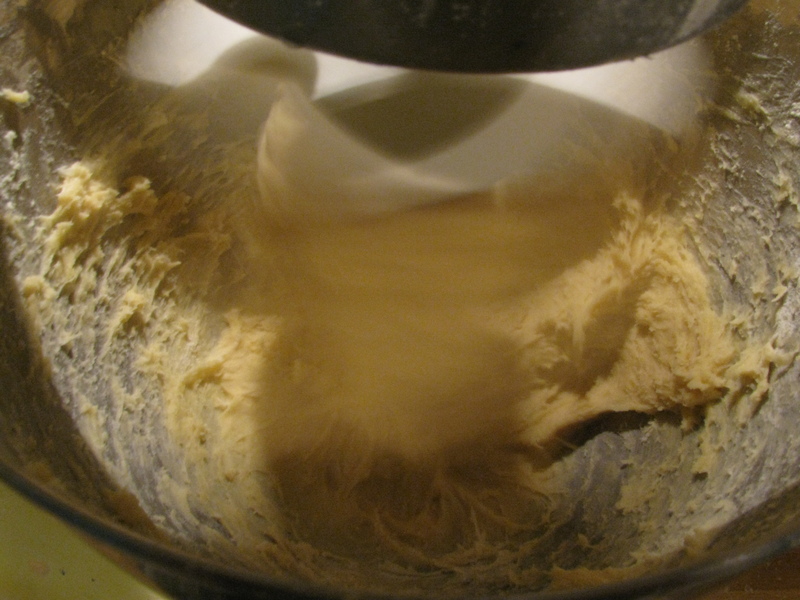 5) Switch to the dough hook and slowly begin adding the flour to the egg mixture. 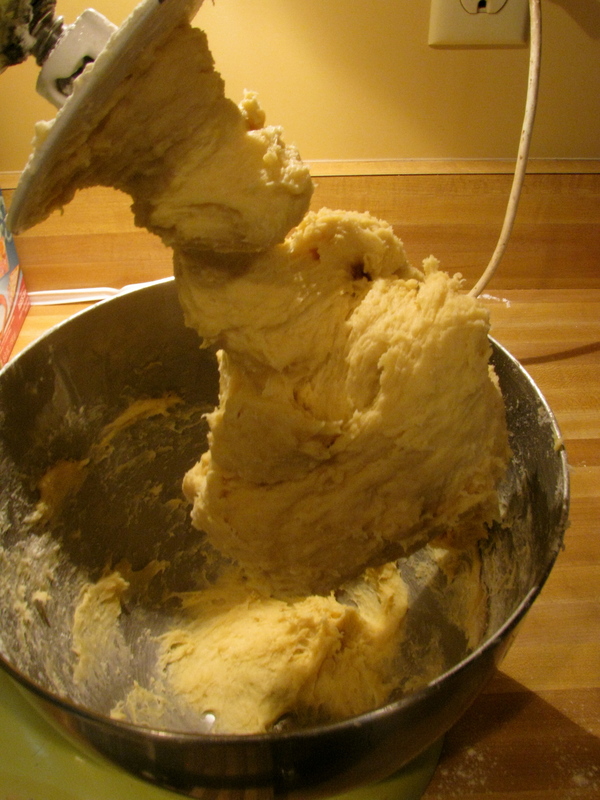 Once a dough ball forms, you can turn up the mixer speed to medium and let it work for about 8 minutes. 6) At this point, you begin adding the butter chunks. One by one. Allowing for about 15 seconds in-between each one. I had a spatula on hand to keep the sides of the bowl clear and to ensure that everything was getting included. You can also add the remaining flour—1 T at a time, as needed. 7) Place your nice buttery dough ball into a lightly oiled large bowl and cover lightly with plastic wrap. Place in fridge for 10-24 hours. Mine sat overnight. 8 ) The next day, flatten your dough into an 8 inch quare about 1 inch thick. Roll into a log and place into a parchement lined loaf pan. I wanted a round loaf (to mimic the Brioche at Whole Foods) so I flattened mine a bit more and rolled it into a longer log. I placed it-in a sort of doughnut shape into the pie dish. 9) Lightly cover with plastic wrap and let sit on the counter-top for 2-2 1/2 hours. 11) Bake until browned or until inserted thermometer reads 190 degrees. It took about 50 minutes in my oven. 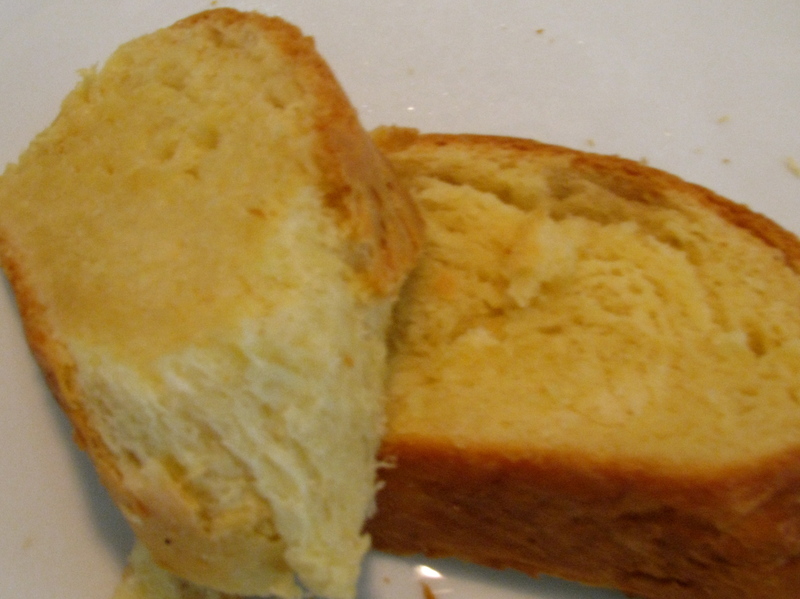 12) Let Brioche cool in the pan for about 15 minutes. After that, remove the brioche from the pan using your parchment paper as a sling.